A tearful serial-thief has narrowly been spared from going to jail again and has been warned that any re-offending will mean time behind bars. Chesterfield magistrates’ court heard on Thursday, November 24, how Ben Wayde Griffin, 22, of Birchwood Crescent, Grangewood, Chesterfield, repeatedly struck at Wilkinson’s store, in Chesterfield, and Birdholme Service Station, on Derby Road, in the town. Prosecuting solicitor Ruth Snodin said: “In an interview with police he said he had committed all these shop thefts because he had no money for the items and he stole them so he could eat and drink and so he could sell them on. Griffin pleaded guilty to stealing SD cards from Wilkinson’s on November 7 and 9 and also admitted stealing groceries and food from Birdholme service station on November 6 and 7. He also asked the court to take into consideration a number of other similar offences from Birdholme Service Station when sentencing which he had admitted committing. Defence solicitor Robert Sowter said Griffin wants to apologise and he is remorseful. 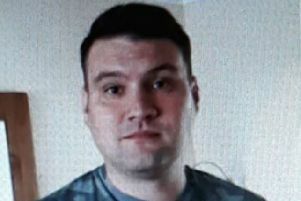 Mr Sowter added: “He was previously released from custody without money or benefits and he has been staying at a ‘care of’ address. “He’s been trying to resolve his housing and financial issues and he’s been surviving on the generosity of his friends but they are on low incomes and cannot provide food so he has been stealing. “In the past he had issues with legal highs but he no longer has this problem. The probation service stressed Griffin has previously shown no motivation to engage with them and they could not recommend a community-based penalty. Magistrates stressed that they had been very close to sending Griffin back to jail but stepped back by imposing a 16 week custodial sentence suspended for 12 months. But they warned Griffin that if he commits any further offences he will serve the 16 week jail sentence. Griffin was also ordered to pay £36 compensation to Wilkinson’s and £25 compensation to Birdholme Service Station. He must also pay a £115 victim surcharge and £85 costs.